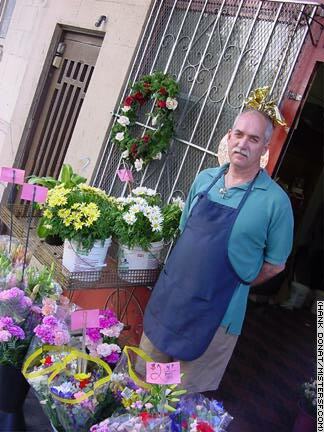 Michael Nadile, 431 Hyde Street Michael Nadile, also known as The Mayor of Hyde Street, operated the tiny storefront flower shop Tenderloin Petals for 23 years before shutting down in June, 2001. Asked what put him out of business after so much time as a neighborhood institution, Nadile responds without hesitation, "The Farmer's Market, that's what did it!" Nadile says he and others warned that making flowers available at the Farmer's Market would doom independent flower vendors. "No one listened to us." Nadile, who will take some time off before deciding what to do next, also blames crack dealers for keeping customers away from the already sketchy location at Hyde and Ellis. "It was always rough here, but there was respect," he says, "Most people today have no respect for history or for the people that came ahead of them." Of the many changes in the City in recent months Nadile says, "none of it's good."